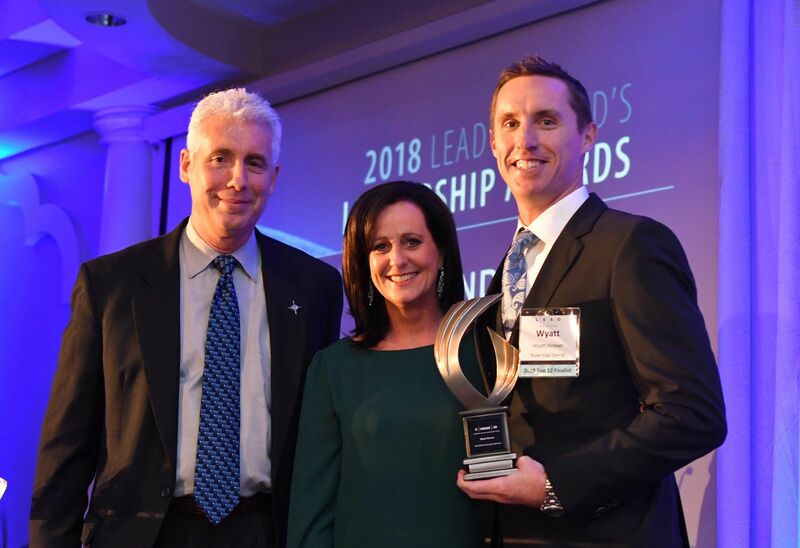 LEAD Brevard Announces the 2018 4 Under 40 Recipients! 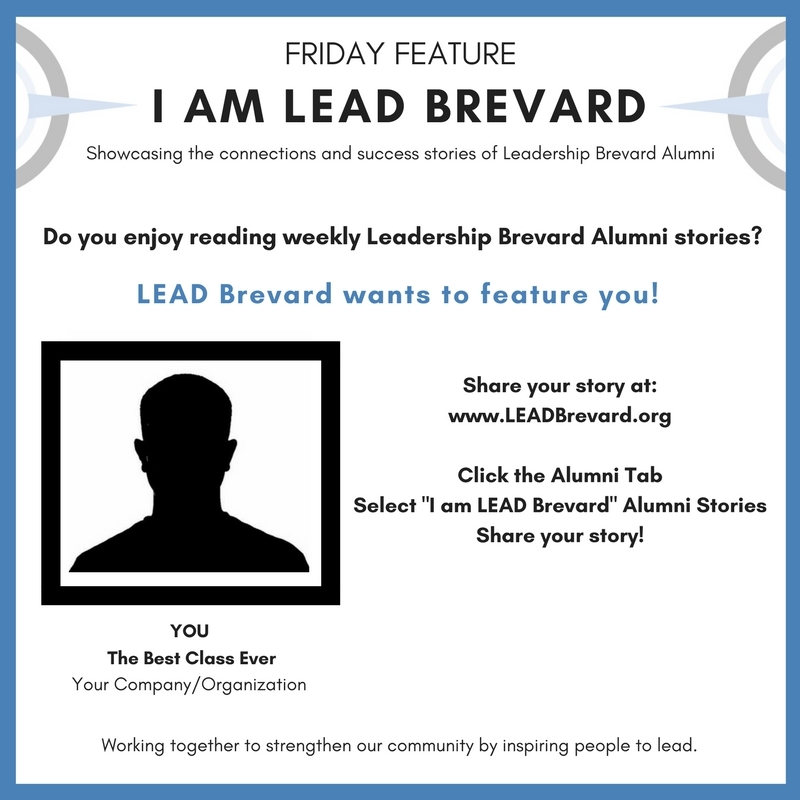 Share your story: "I am LEAD Brevard"
LEAD Brevard wants to feature you! 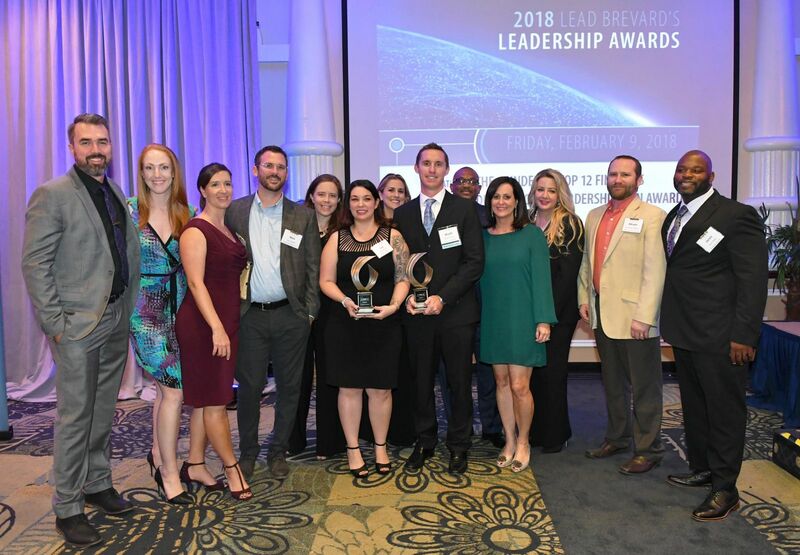 On February 9th, LEAD Brevard’s signature fundraiser; the 2018 Leadership Awards and 4 Under 40 Recognition recognized a group of 12 finalists under the age of 40 selected from a pool of nominees representing a cross-section of young professionals working in Brevard’s businesses, public and nonprofit sectors. All 12 finalists were featured during the event. 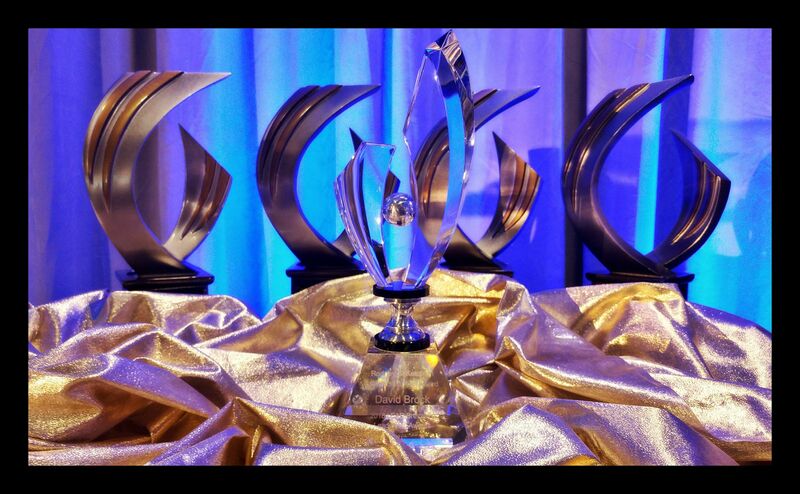 The final 4 Under 40 were revealed during the course of the evening and received special recognition. 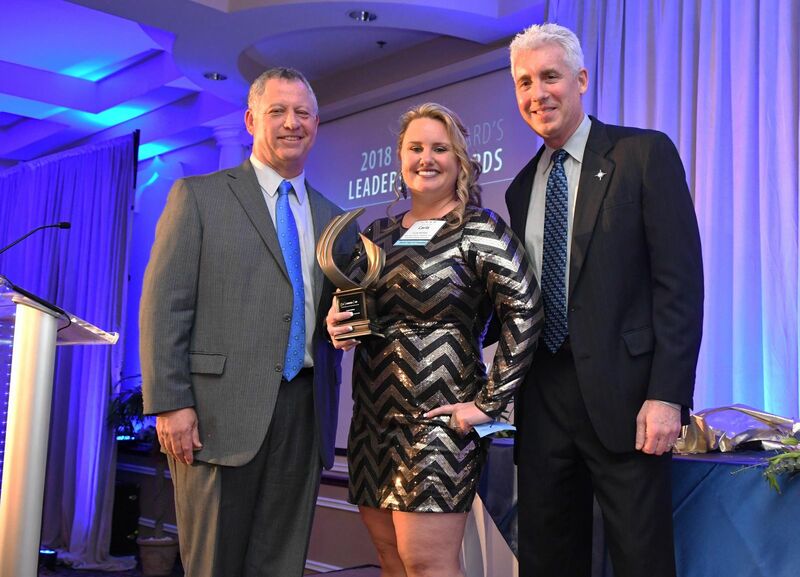 300 community leaders helped LEAD Brevard celebrate the 2018 Leadership Awards on February 9th at the Space Coast Convention Center/Holiday Inn. A portion of the event's proceeds benefit the Leadership Brevard Scholarship Fund. 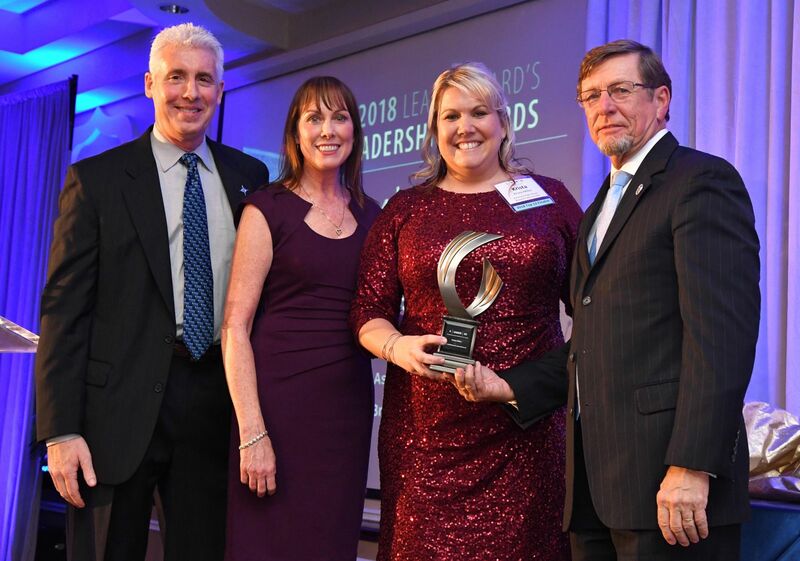 CLICK HERE to read about LEAD Brevard's 2018 Leadership Awards in FLORIDA TODAY! Thank you to the following businesses and individuals for their support of this event, as well as their ongoing promotion and encouragement of leadership in the workplace and our community. Thursday, January 18, 2018 of the 2018 Leadership Brevard program year saw us at the Brevard Zoo, Nyami Nyami River Lodge for conversations about our Quality of Life in Brevard and what we - as current and future leaders – can do to protect and enhance it! Keith Winsten, Executive Director, Brevard Zoo welcomed the class members and promised a day of knowledge, inspiration and leadership. More on that later. Read on. “Indian River Lagoon – Looking Ahead 2018 and Beyond” presented by Dr. Duane De Freese, Executive Director, Indian River Lagoon Council & the Indian River Lagoon National Estuary Program received high praise from attendees as many were not aware of the severity of the lagoon’s distress and/or the plans underway to restore and protect this natural asset. Dr. Neil Levine, Executive Director, Brevard Cultural Alliance and Ms. Lisa Packard, Executive Director, Eau Gallie Arts District (EGAD) brought home the economic impact of the arts and cultural scene sharing “What’s Art Got To Do With It?” and (quality of Life) “Through the Main Street Looking Glass”. From historic European art to the concept of ‘tactical urbanism’, class participants got a taste of what “art” means to a community and how rich our area is in a cultural sense. Not to be outdone, Leadership Brevard participants engaged in their own art activity; provided with a variety of materials, class members created a visual rendering of what ‘quality of life’ means to them – a collage of their work is captured in this newsletter. Leadership Brevard Class of 2018 "Quality of Life" art activity collage. 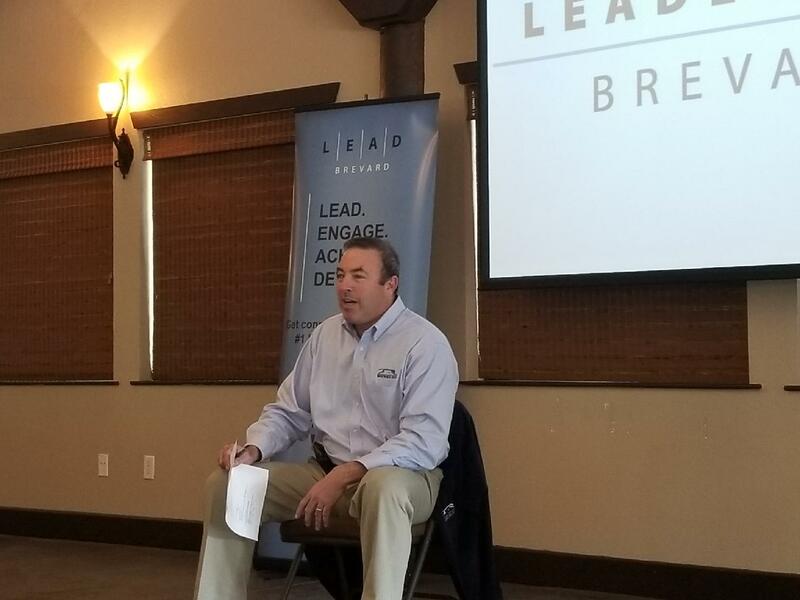 As promised, Keith Winsten, Brevard Zoo delivered his take on leadership – using stories of his personal experiences and sharing favorite books – Ferocious Conversations and Good to Great. Several class members noted in their session evaluations that they plan to utilize some of the leadership philosophies and tactics at their place of business! Keith Winsten, Brevard Zoo sharing his "Leadership Perspectives"
During the afternoon, class members were treated to a behind the scenes tour of the zoo and an excursion to the Cruickshank Sanctuary to visit scrub jays and learn about conservation programs for them and other species at the sanctuary. Hearty snacks and lunch was catered by Green Turtle; the day concluded with an ‘oysters and beer’ social time – oyster shells were collected by the zoo for use in their oyster restoration projects. If this strikes you as the kind of experience you want for yourself and/or for member(s) of your team; enrollment will be open soon for the Leadership Brevard class of 2019! Watch your email for updates. 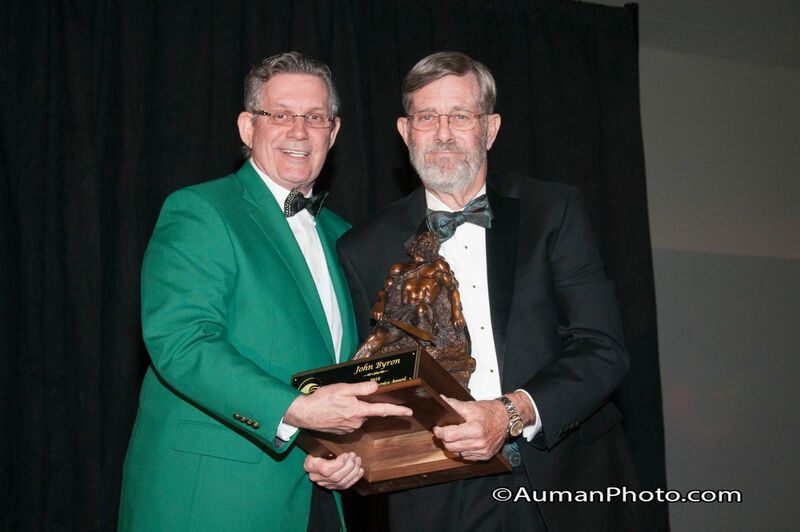 Photo: Bill Taylor, President & CEO, Community Bank of the South (Leadership Brevard 1988) presents the Cocoa Beach Regional Chamber of Commerce’s 2018 Distinguished Service Award to John Byron, President, Sun State Strategy, Inc. (Leadership Brevard 1991 and chairman of the LEAD Brevard board of directors 1994-1995). 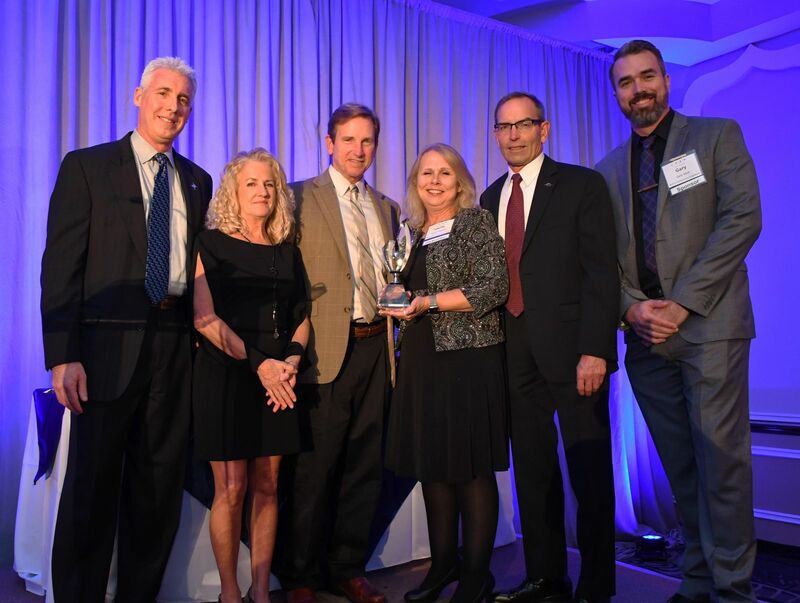 John Byron was recently recognized with the Cocoa Beach Regional Chamber of Commerce’s 2018 Distinguished Service Award (DSA) presented at their 50th Anniversary Gala on January 26th, 2018. 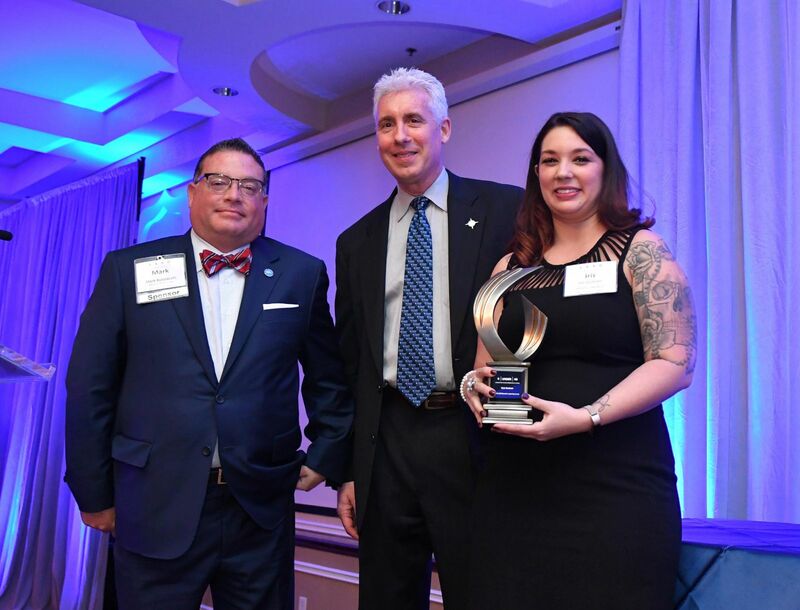 The DSA has been presented by the Cocoa Beach Regional Chamber each year since 1985 and represents a ‘community minded individual who has provided consistent and unrelenting efforts with their time, talent and treasure on the Space Coast’. In the chamber’s media release, John says “I’m honored to win this award. It was a complete surprise…and it shows the value the Cocoa Beach Regional chamber places on community service…”. John, we couldn’t agree more with the chambers’ DSA committee decision – LEAD Brevard offers our congratulations! 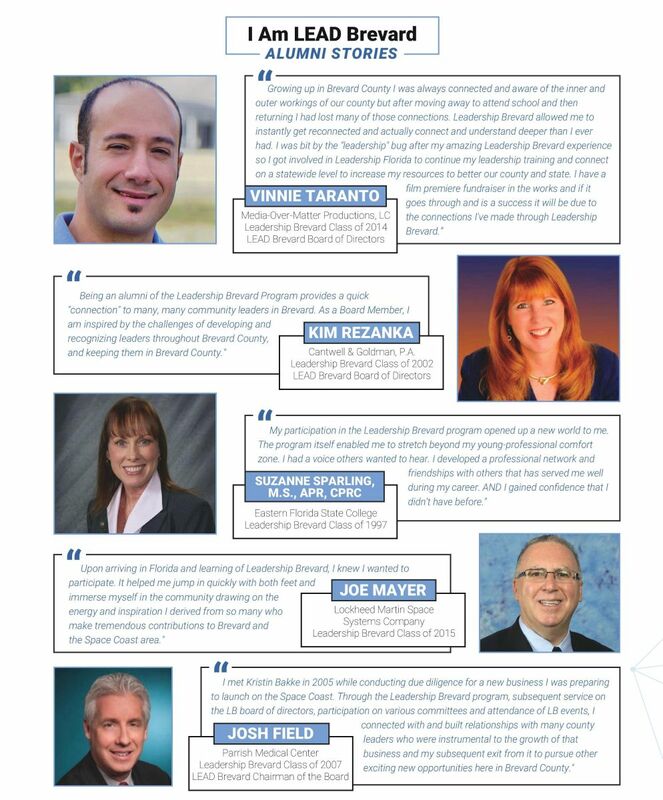 Other notable Leadership Brevard Alumni that are previous recipients of the Cocoa Beach Regional Chamber of Commerce’s Distinguished Service Award (DSA) include Rodney Ketcham (LB Honorary Alumni) in 1989; Keith Houston (LB 1994) 2010; Bill Taylor (LB 1988) 2011; Joe Morgan (LB Honorary Alumni) 2012; Sandy Sanderson (LB 1997) 2014; Dr. Brenda Fettrow (LB 2001) 2016 and Cindy Dropeski (LB 2015) in 2017. Friday Feature! 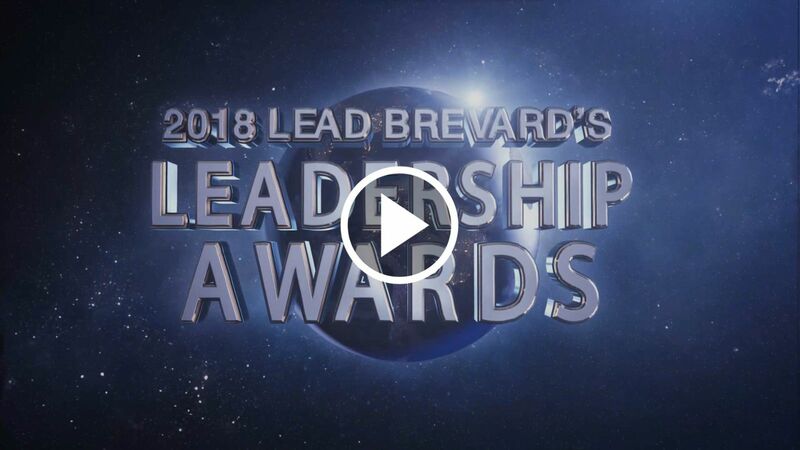 "I am LEAD Brevard"
LEAD Brevard’s mission is working together to strengthen our community by inspiring people to lead. 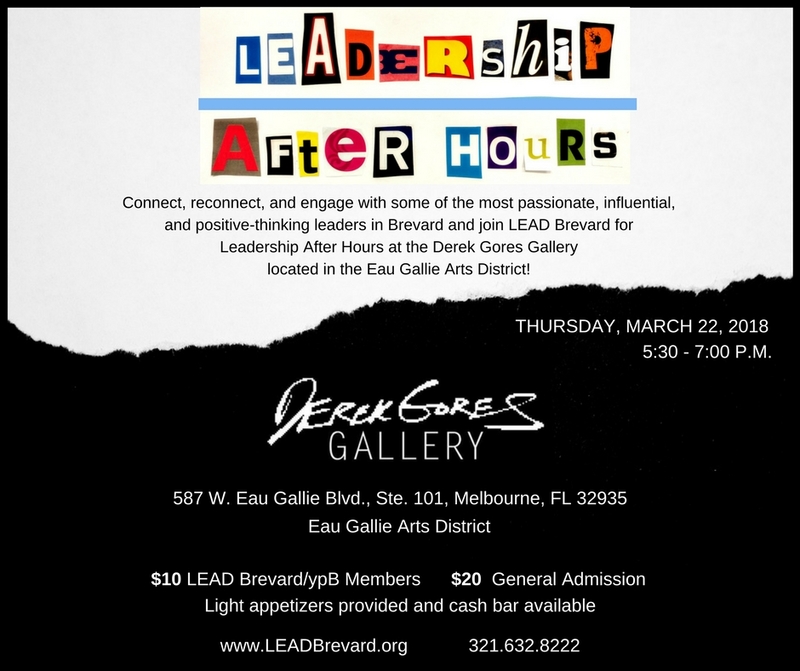 To showcase the impact ‘YOU’, as Leadership Brevard alumni, are making in our community, LEAD Brevard is gathering the stories of the connections and successes that you have. 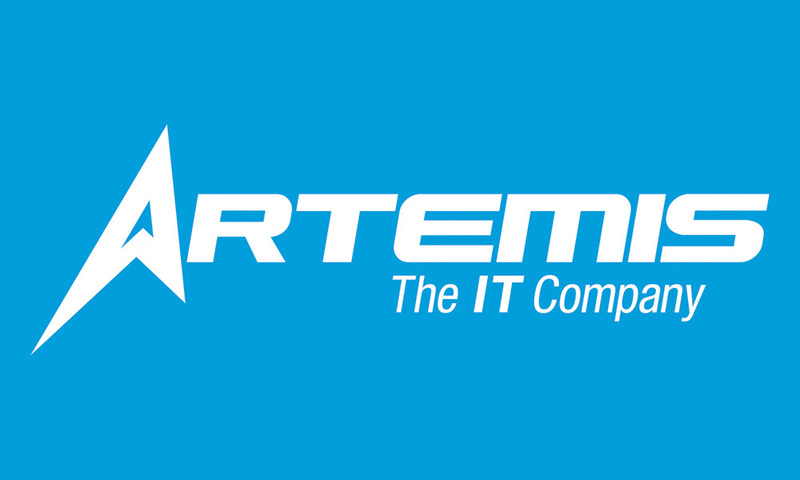 – You’ll want to be informed and invited to attend! NOW to update your contact information. Click Here to join or renew your membership today.